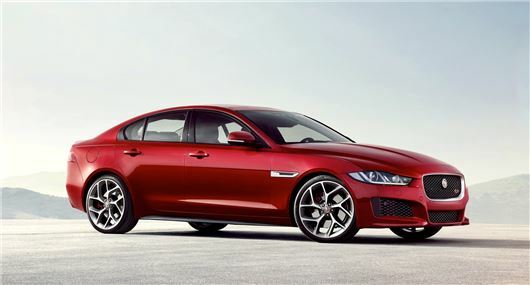 The Jaguar XE has proved to be a popular choice for business drivers changing their car in 2015, according to the latest findings from independent market research agency, Sewells Research and Insight. The new model, unveiled this month, achieved the highest future consideration score of any model in the survey of 4,250 businesses and company car drivers. Of those drivers who tend to choose executive or luxury company cars, 88% of those questioned expect to at least consider the car. Sewells is expecting the general excitement and anticipation around the launch to convert into a long order book for dealers, with almost half of drivers questioned (47%) saying they will "definitely consider" the new XE and one in 10 already stating it is going to be their first choice of company car. The Jaguar brand has received a major overhaul in the past decade with more modern styling and focus on comfort alongside handling becoming desirable alongside traditional German rivals. John Maslen, brand director at Sewells Research and Insight, said: "The official reveal of the new XE is only likely to increase interest from drivers. The challenge for Jaguar is to meet this anticipated level of demand at a brand and dealer level at it moves into a higher volume part of the premium market."